I finally have an excuse to buy a quilt (or two) from Haptic Lab. Haptic Lab makes truly beautiful quilts. I am on their mailing list and have searched, in vain, for a reason to buy one. Well, the time has come. 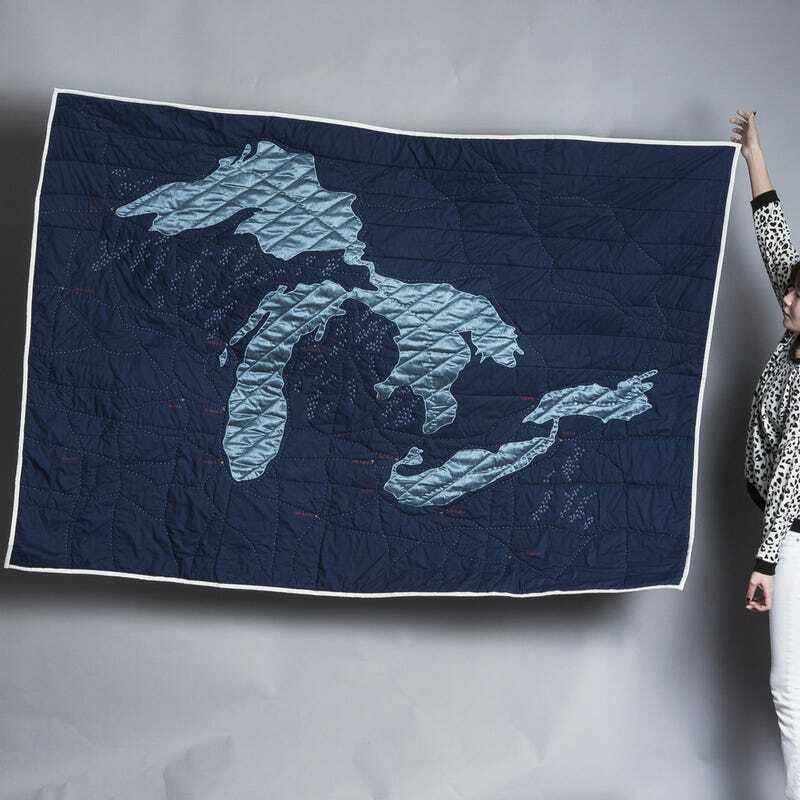 My grandmother turns 80 in June and I couldn't think of anything more perfect than a Great Lakes quilt. I am also dangerously close to donating to their constellation quilt Kickstarter. And by close, I mean that I am pulling out my credit card at this moment.